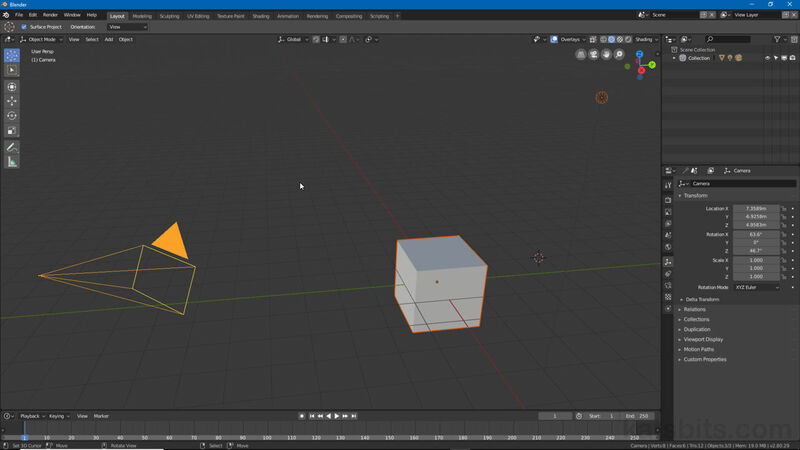 With Blender 2.8 comes a significant change to selection behaviour. The previous options, Inverse and (De)select All, have been updated so the Select menu now includes three distinct options; All, None and Invert. This change applies to all Editors, Workspaces and Areas as it ostensibly replaces (De)select All. Design note: in essence (De)select All has been split into two distinct actions, one to select (Select All) and another to deselect (Deselect All), minimizing the issue of inadvertent menu or shortcut overuse (pressing the selection key several times, a consequence of using a single action to perform multiple functions whilst not knowing the exact state a mesh or scene might be in before attempting to de/select items). When used; All (shortcut A) selects everything regardless of any current selections; None (shortcut Alt+A) deselects everything regardless of current selections; Invert (shortcut Ctrl+I) inverts current selections, i.e. if one side of a cube is selected, Invert deselects the initial face and selects everything not previously selected. If a selection has been made  (in any Interactive Context mode i.e. Object Mode, Edit Mode etc.) but ‘all’ is required , choosing the option  (by menu or shortcut key) will do this explicitly regardless – active selections no longer need to be cleared beforehand. The dual select/deselect function of (De)select All have been separated, each is now a distinct operation that will do one or the other explicitly.